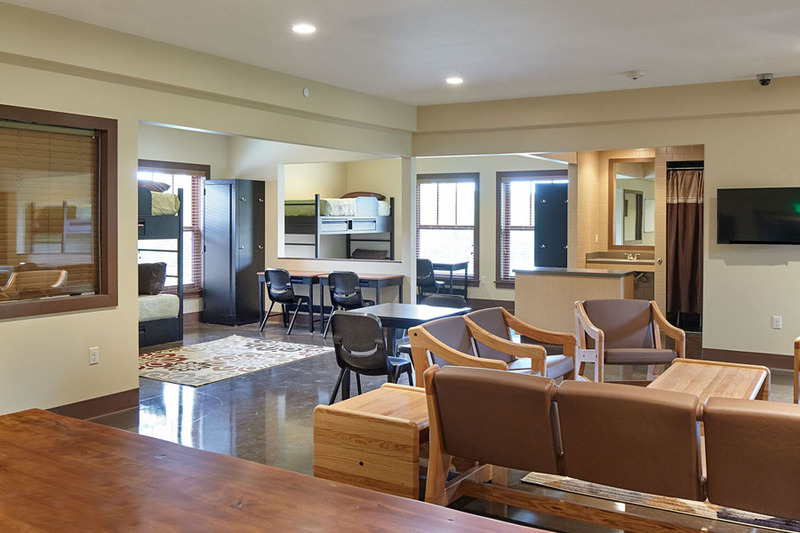 We were first commissioned to design the Richard Beach Lodge, conceived as a transition house for both boys and girls who need a little more direct supervision and in a smaller setting than the main boys’ and girls’ lodges. 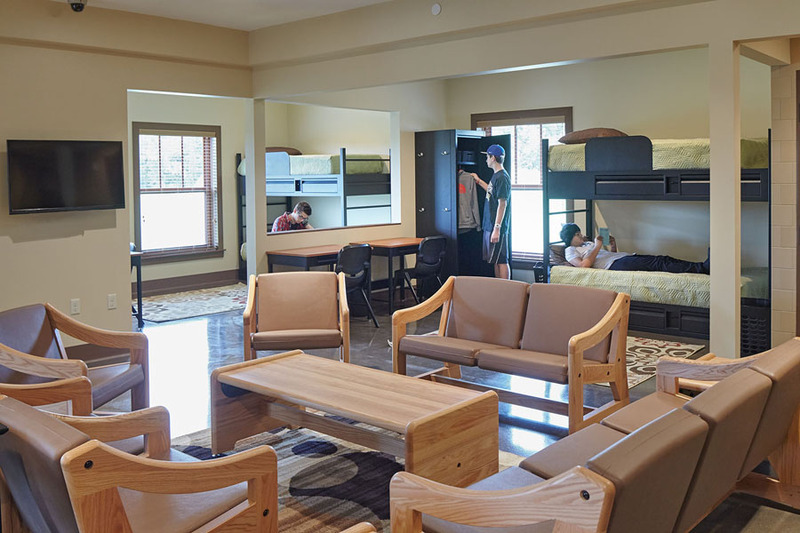 The building provides accommodations for 16 boys and 16 girls in two separate wings with a central core, accessible to both, of support and administration offices. 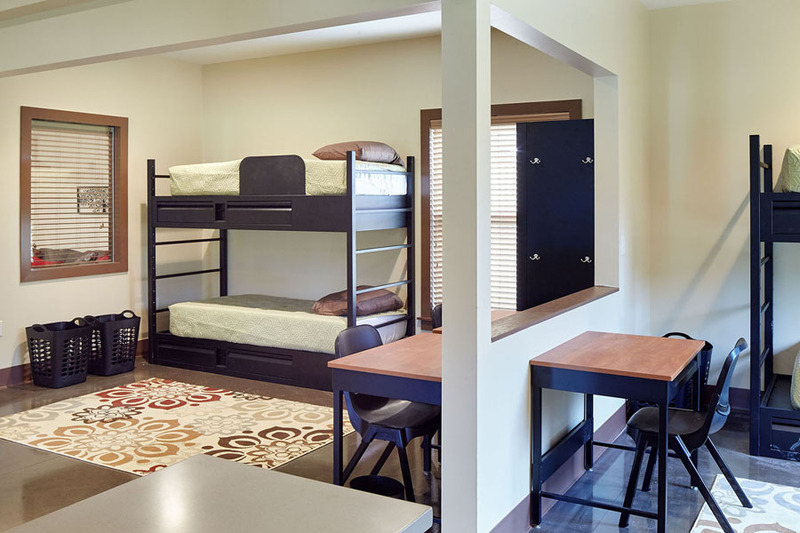 Within each boys’ and girls’ wings are two pods of sleeping, bathing, and living accommodations for 8 students each with a central counselor’s office stationed between the two pods for direct supervision. 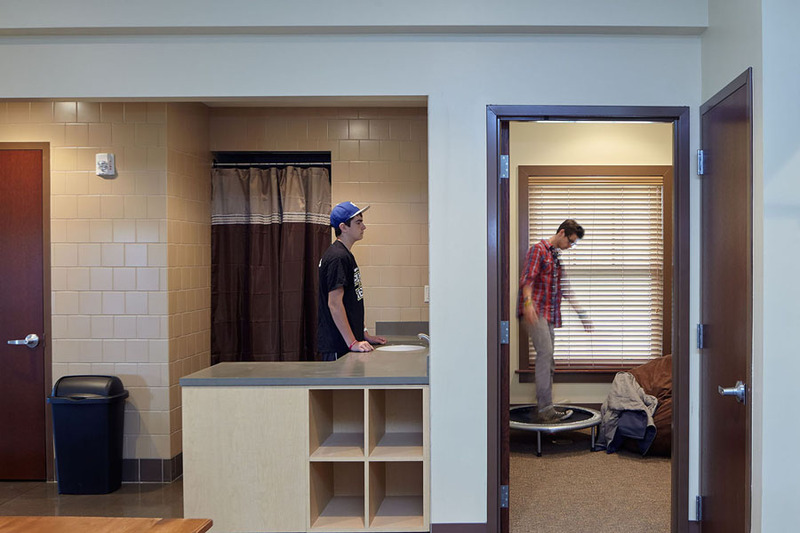 Care has been taken to create an open, and therefore, visible environment for visual supervision within each pod, while allowing each student their own private space. 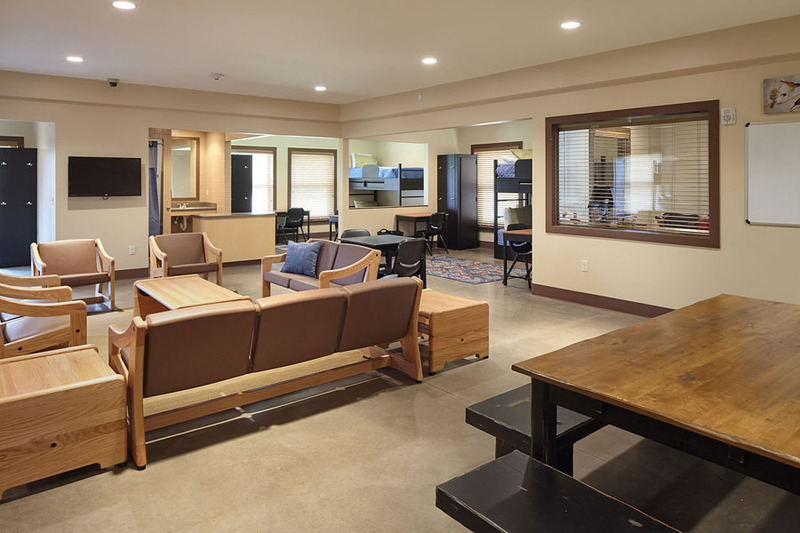 Individual space within each pod accommodates specialized support services such as a quiet room and a therapist’s office. 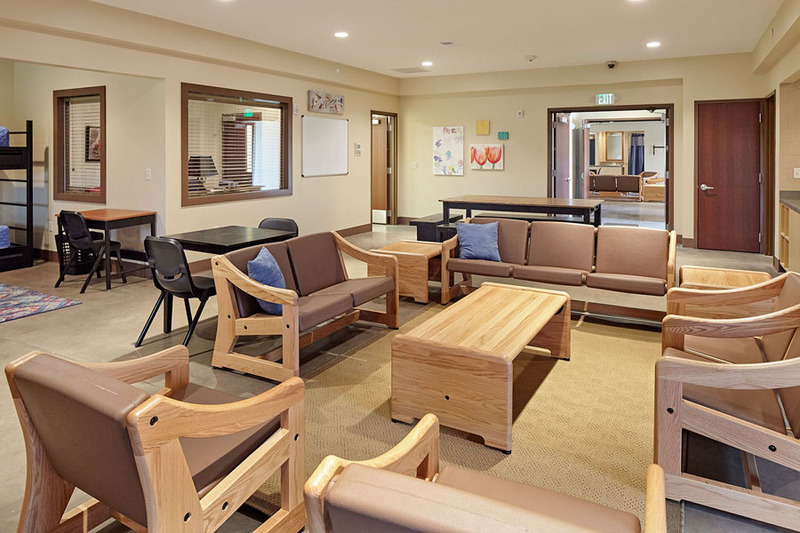 Within the central core area is a large family welcome gathering space which serves as a living room for visiting family members or as an extra meeting room for residents and staff. 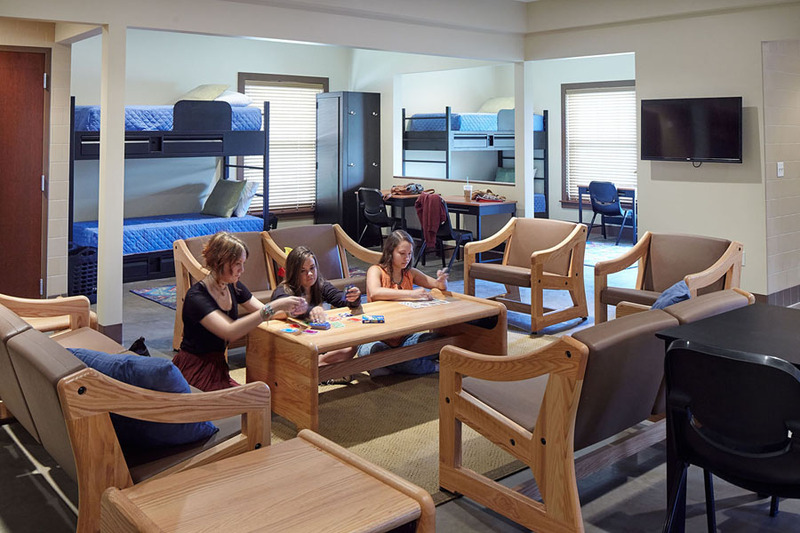 A residential kitchen is adjacent to the Family Welcome Center for catering as well as providing cooking opportunities for the students. 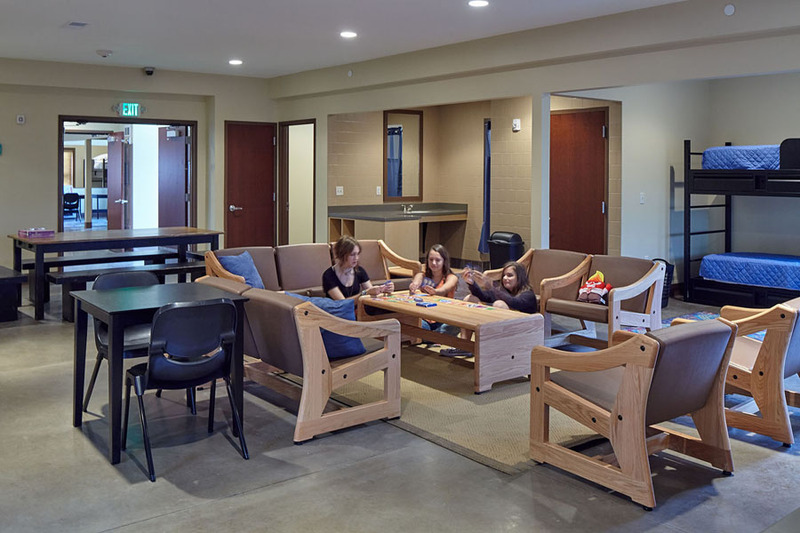 The floor plan was very carefully developed to allow for direct and efficient supervision, while providing a safe and warm environment. 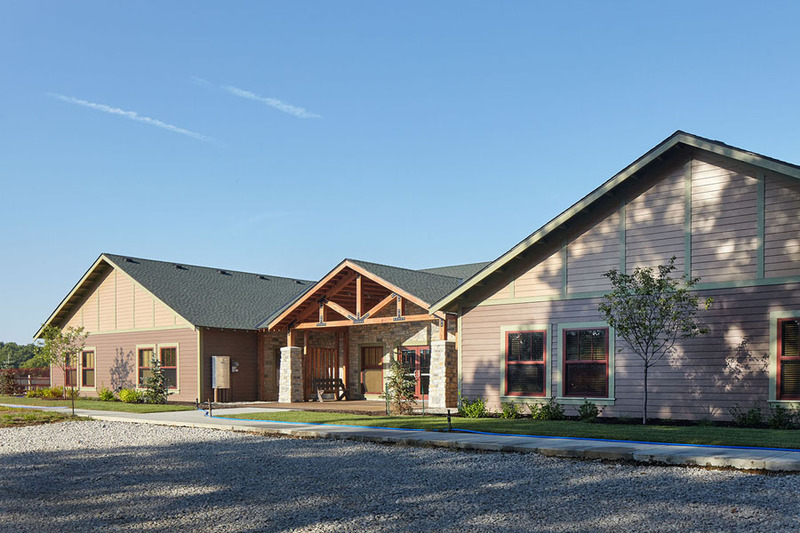 The school is located in a deeply wooded acreage in eastern Jackson County. 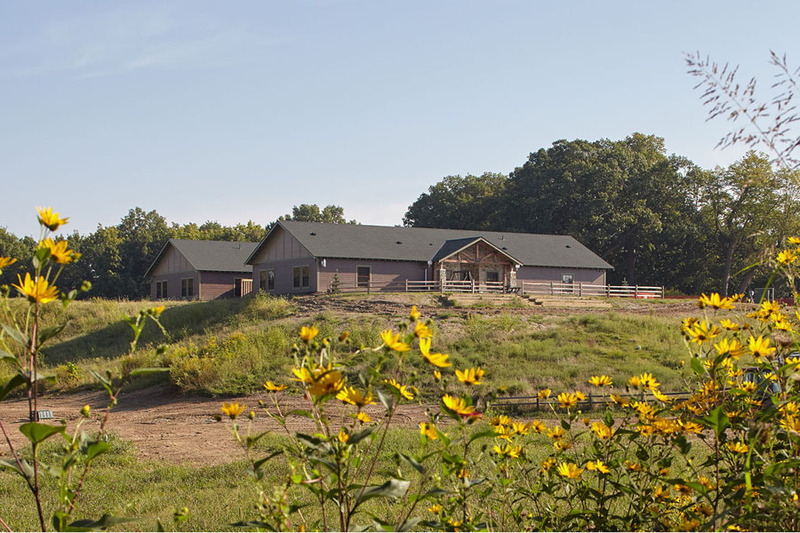 Thus, the design of the both the lodge and meeting hall drew inspiration from early Park Service and wilderness camp architecture - with simple massing and gabled roof shapes, horizontal lap siding, traditional windows and trim, field stone accents, and an early 1900’s Craftsman feel that hearkens back to the early development of the Missouri State and also the National Park systems. This has been carried into the interior walls and trim details, while, at the same time, using colors which are calming and comforting and materials that are durable.